For you it’s a passion, for us a speciality! 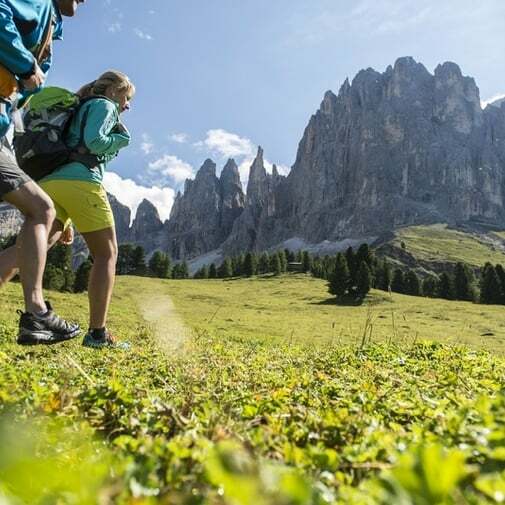 At the MAJESTIC we know what hikers and other active holiday-makers want, that’s why we offer an extra service during your stay: 5 days a week our guide Manuel, with many years of experience, will introduce you to the most beautiful places in the Dolomites. Whether you seek an easy walk to a farm through an idyllic landscape of meadows, pastures and woods, or a challenging climb with a breathtaking view… come and enjoy the extraordinary Alpine world of South Tyrol with its vast programme of excursions and its cheerful people.